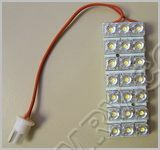 T10 Socket 21LED Bright White Pad T10P21x68BW [T10P21x68BW] - $14.95 : Out-of-Doors Mart!, More Airstream Parts on-line than anyone! 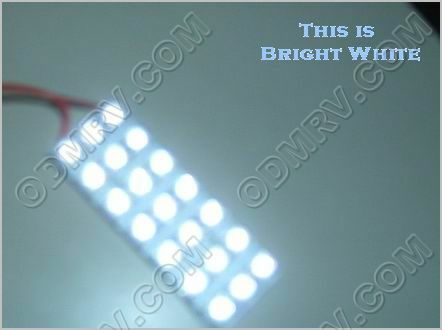 T10P21x68BW T10 Socket 21LED Bright White Pad. 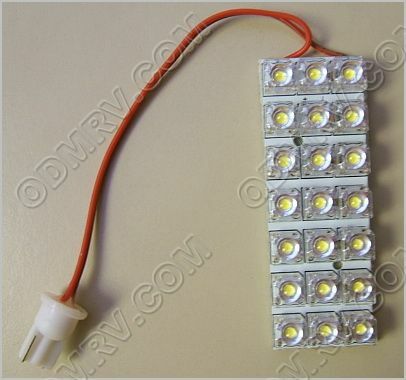 This light has a T10 Socket and 21 Bright White LEDs. 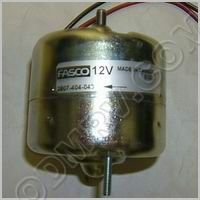 The wire is 4-3/8 inches and has a power draw of 49mA. 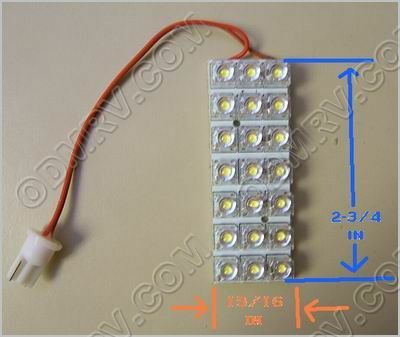 This pad has 391LU. 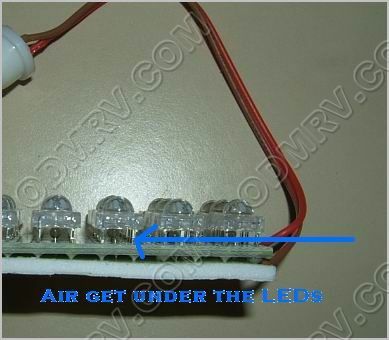 This light is polarity dependent which means it may need to be turned 180 degrees in the socket to work and the voltage range is 8 to 13.4 VDC. Please see pictures below for measurements.